It’s never too late to expand your horizons. This specialized Delphi Training Series bundle includes previously recorded Delphi sponsored LiveStream training hosted by veteran Delphi instructor, Dave Hobbs. Hold onto your wrenches, because this bundle will also include the upcoming LiveStream and 1 NEW Delphi LiveStream that is currently in development, and will be available on following scheduled dates: 11/15/17 and 12/6/17. **Click on the “Courses” tab more information on each course. 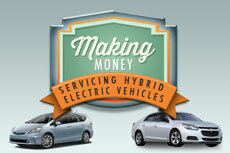 We’ll cover battery technology, proper battery charging and testing, BMS (Battery Management Systems) and those alternator ‘equivalents’ on Hybrid vehicles - DC-DC converters. Delphi instructor Dave Hobbs brings you up close and personal to the workings of both the low pressure and high pressure sides of GDI systems along with live scan tool and lab scope diagnostic tips. Fuel trim (FT) data is the automotive equivalent of a medical “CT Scan” of combustion event efficiency. Much has been written on the subject of fuel trim, yet much is still not understood regarding the causes of those high and low numbers. Problems ranging from misfires to no-starts can be related to ignition coil problems. Getting a C.O.P. (Coil-On-Plug) diagnosis right the first time can be difficult if you don’t have every trick and tip at your disposal. Faulty MAF sensors often set a Diagnostic Trouble Code (DTC) but that’s not always the case, leading to excess frustration in the service bay. Veteran Delphi instructor Dave Hobbs provides you with advanced meter functions, an introduction to advanced electronic concepts including current draw testing, intermediate and advanced lab scopes, finding intermittent ground and connection problems and diagnosing EMI/RFI issues. 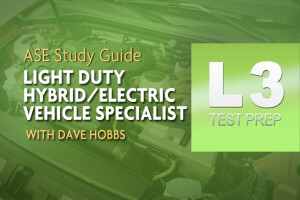 This diagnostic program will help you make more sense out of fuel related drivability problems on conventional (sequential) fuel injection and Hybrid Electric Vehicles (HEV) Internal Combustion Engine (I.C.E.) unique drivability concerns. 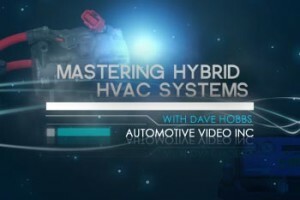 Veteran Delphi instructor and hybrid specialist Dave Hobbs will share proven techniques to get hybrid owners in your shop for the first time AND keep them coming back year after year for safe, accurate and profitable service. n this seminar, veteran Delphi instructor Dave Hobbs helps you sort out the engineering complexities from the simpler side of Mode $06 so you can put this powerful function of your scan tool to real world practical use. In this program we’ll give you the scoop on steering and suspension systems essentials along with helpful diagnostic tips to keep your customers driving straight and riding smooth. Delphi instructor Dave Hobbs shares proven techniques to help your repair shop stand out where it counts - in the hearts and conversations of your customers! In this program, we’ll go over what you need to know to stay up to date with diesel injector diagnostic & replacement tips for light duty and heavy duty trucks.